And many other areas of expertise. Connexis Allows us to provide high quality voice and data exchange. Courtroom Connect Provides our clients with live access to legal events as they happen, providing attorneys to receive live text and video streams from anywhere – including the courtroom. 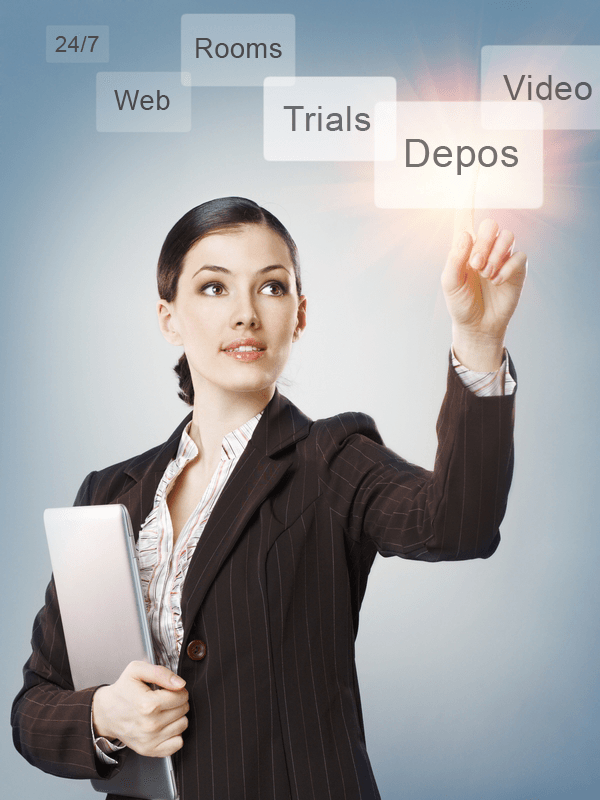 LiveDeposition.com Enables us to streamline the litigation process by conducting real-time depositions and online meetings. LiveNote Connects remote participants to live deposition testimony. MIVNET Provide us with a network of high quality bandwidth during any client setting. OMTI Provides office management software, web services and mobile apps for court reporting agencies; largest installed base of any court reporting management system with hundreds of systems running court reporting firms. Proximity Enables us to provide our customers with over 4,000 conference room locations around the world. RealLegal Transcript management tools for court reporting firms for the unique workflow of the litigation process. Remote Counsel Allows us to stream video and text that is connected to all parties in complex litigation. Stenocast Provides wireless real-time transfer of data from steno machine to computer.